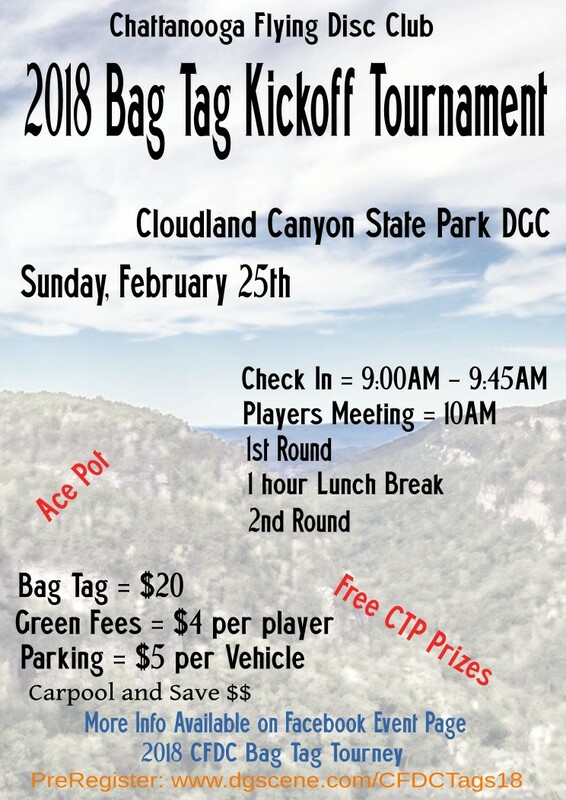 Annual club fundraiser and kickoff for the 2018 Bag Tag Season. 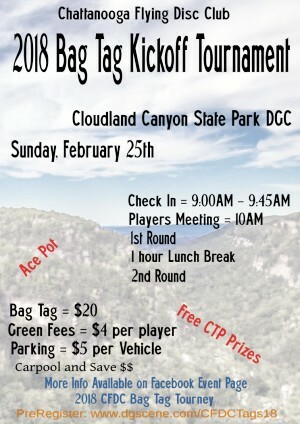 Come show your support for the club and start off the year with a low bag tag number. As always there will be free CTP prizes and a CTTP Prize as well. Cancellations will automatically be changed to the Mail A Tag option. Make sure address is correct in PayPal.